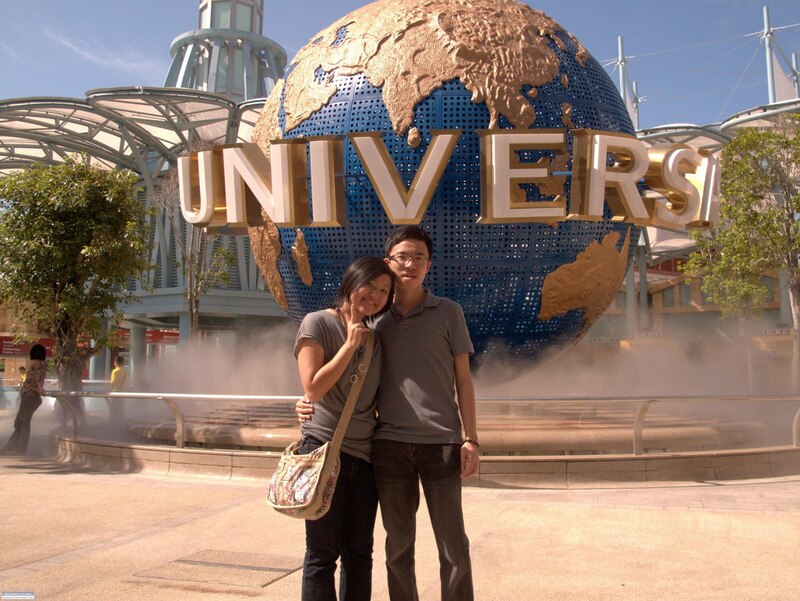 I visited Universal Studio last week with my bf. The journey start from Hollywood. You will walk along the retail shop and restaurants. Soon you will see famous character such as Frankenstein, Kung Fu Panda & other costume character walking around. You are allow to take photos with them. Next we will step into Madagascar. Later you can enjoy the dancing show from the character. The third park to step visit is Far Far Away. The whole theme is about Shrek and The castle is so huge and is awesome ^-^. The major attraction in this park is 4D Shrek. As you can see from the picture below, it was a long queue for this. Next you will step into the mystery Ancient Egypt from the movie The Mummy. The sculptures in this theme park are beautiful. The best ride is Revenge of the Mummy (roller coaster) but make sure you put your thing in the locker before you going to for the ride. When you walk along the way in, you feel the mystery of Ancient Egypt is waiting for you. The ride feature warrior mummies, a sudden launch, scarab beetle attack, forward & backward motion is applied on the ride. The final theme that you will walk into to complete the the journey is New York. This theme have the famous New York Public Library with two lion statues at the entrance of the library. There was a yellow cab by the road side. The attraction here is Lights, Camera & Action hosted by Steven Spielberg. One more show you cant miss out is Waterworld located between Far Far Away & Lost World. The show is absolutely amazing with awesome explosions & thrills sensational water live show. I haven't been to. perhaps this year.